A new laser weapon being developed by Lockheed Martin successfully disabled two boats a mile away in a recent test off the California coast, the company said. Lockheed Martin is developing the ground-based high-energy laser weapon, known as the Area Defense Anti-Munitions (ADAM) system, as a potential military defense against short-range threats, including drones, small boats and homemade artillery rockets. The defense contractor on Wednesday posted a video online showing the first tests of the laser weapon against targets at sea. 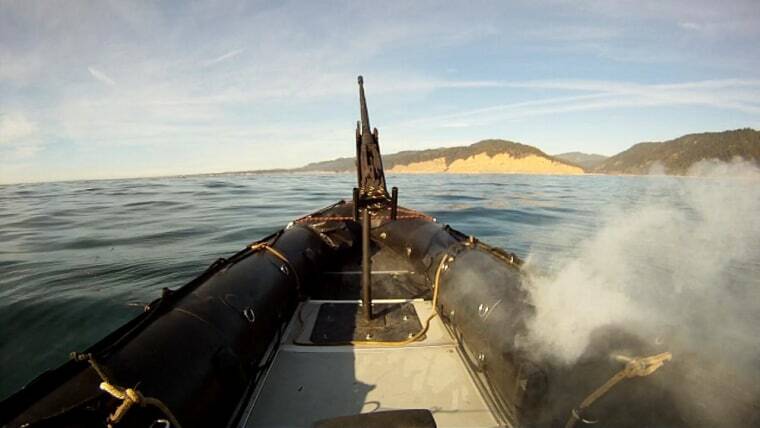 In less than 30 seconds, the company said, the system’s high-energy laser zeroed in on and burned through multiple compartments of the rubber hull of the military-grade small boats operating in the Pacific. “Our ADAM system tests have shown that high-energy lasers are ready to begin addressing critical defense needs,” Tory Bruno, president of Lockheed’s strategic and missile defense systems, said in a statement. Lockheed Martin has previously demonstrated the prototype laser system’s ability to destroy free-flying Qassam-like rocket targets.